Apart from its world-class resorts and premier vacation destinations, Florida is known for its beautiful waterways that play host to some of the most active shipping and cruising lanes in the world. This “boater’s paradise” offers unlimited access to numerous waterfront businesses and outdoor excursions, making it a prime location for potential boating accidents. 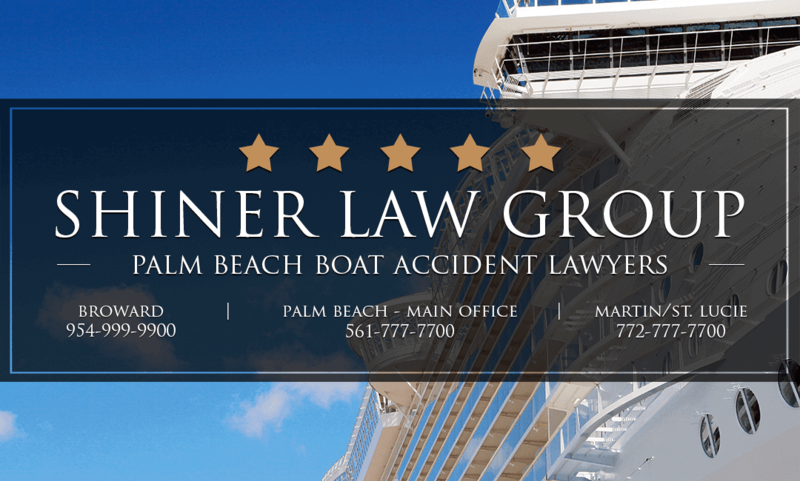 If you or a loved one has been injured in a boating accident due to the carelessness or negligence of another, a Palm Beach boat accident attorney at the Shiner Law Group can help you pursue a claim for a broad range of damages. 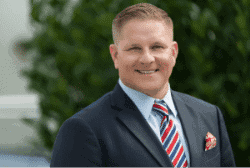 The boat accident attorneys at the Shiner Law Group have been serving the Palm Beach community for over 15 years, litigating a variety of cases associated with Florida’s maritime laws. With extensive experience in representing clients injured in boating collisions and accidents, our legal team can help you understand your rights and methods of discourse, including financial recovery for payment of bills, lost income, pain and suffering, emotional distress, and wrongful death. Our award-winning law firm is committed to the highest standards of legal ethics, and our priority is to ensure that you and your loved ones are protected in the event of a boating accident. Each case is unique, so we will investigate your claim to determine what financial compensation you may be entitled to under applicable Florida law. We can resolve your case in the courtroom or through out-of-court settlement negotiations. Why Call Shiner Law Group’s Boat Accident & Trial Attorneys? In the event that a person becomes injured or is wrongly killed as a result of a boat operator’s negligence, the boat operator may be held liable. Victims or their loved ones should contact a Palm Beach boat accident attorney to pursue a claim for financial compensation. The Jones Act, or the Merchant Marine Act of 1920, is federal legislation that allows qualifying sailors employed at sea to seek financial compensation from their employers in the event of an injury. If an employee sustains injuries that results from the carelessness of their employer or colleagues, a negligence claim can be pursued. Additionally, ship owners can be liable if their vessel caused an accident due to unsafe conditions or improper care. There are other legal actions available that protect sailors employed at sea, including maintenance and cure, as well as the Longshore and Harbor Workers’ Compensation Act (LHWCA). It is also important to know that laws related to waterways, ocean, intracoastal, and rivers, is often referred to as Maritime law.